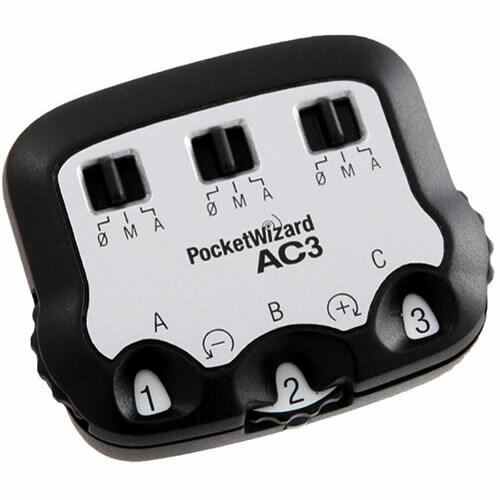 When you add the Pocket Wizard AC3 ZoneController for Nikon to your on-camera MiniTT1 Transmitter or FlexTT5 Transceiver, you instantly have three zones of flash control. Whether in CLS/i-TTL or Manual mode, you have control over all your flashes from your camera position. Put your flashes wherever you want, without worrying about having to access them during a shoot. Three clearly labeled dials let you increase or decrease power to three zones of flash in 1/3-stop increments with a range of up to six stops. 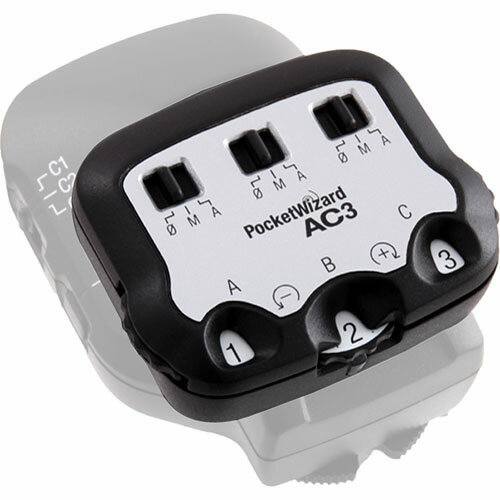 Three switches allow you to change zones between Manual, Auto (PowerTracking / CLS/i-TTL) or OFF. Best of all, with its intuitive interface, the design is simple to use. 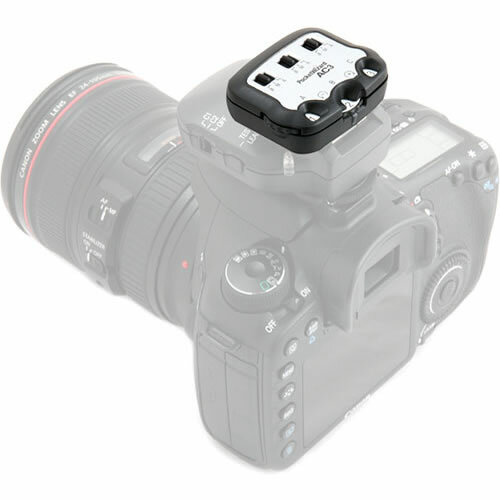 When matched with the PowerST4 or AC9 AlienBees Adapter, you can now control Elinchrom RX, White Lightning and AlienBees flashes right from the camera's position. 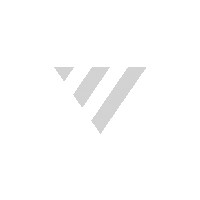 PocketWizard's new firmware platform taps into the full potential of your camera and flash system enabling an entirely new level of remote flash capability through our proven radio communications. ControlTL firmware is configurable and upgradeable for "future-proof" continuous improvement. Designed to work seamlessly with Nikon's CLS/i-TTL systems, the AC3 ZoneController removes operating complexity with its easy-to-use design. With three simple dials, you can quickly adjust the power settings for three independent zones in 1/3rd stop increments with a six stop range. Control up to three zones of light, each with one or more flashes, right from the camera's position. Set them all on manual, auto, or mix the settings between zones. Need to turn a zone off? Just slide a switch and it's off. When used in conjunction with a PowerST4 Receiver for Elinchrom RX, or a FlexTT5 paired with an AC9 AlienBees Adapter, you have remote power control over Elinchrom RX, AlienBees and White Lightning studio flash. You can also mix these Nikon CLS/i-TTL or any other PocketWizard triggered flash. The AC3 weighs almost nothing and slips into the top-shoe of your on-camera MiniTT1 or FlexTT5. There are three dials and three switches, one for each zone. This switch allows you to set each zone to either Manual Power Control, Auto (PowerTracking CLS/i-TTL) or OFF. Set it to OFF and that zone will not fire. Clearly labeled from +3 to -3 in 1/3 stop increments. In Auto mode, the dials act as flash exposure compensation. In manual mode, +3 on the dial is your flashes maximum power level. Adjust the dial down to control your power in 1/3 stop increments for up to six stops of control.